All Things Jabu has partnered up with Futura Sports Agency to bring you interviews with some of the best up and coming sportsman with South African roots. 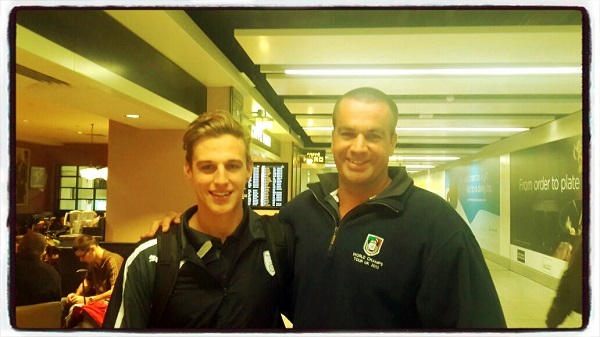 First up is Brad Wheal, a 19 year old cricketer from Durban who has just been called up to the Scotland side for a tour of Hong Kong. Having moved over to join Hampshire when he completed his schooling at Clifton High School, he was noticed by Dale Benkenstein and offered a chance to move abroad. Its appropriate that we start with the man that was awarded the Futura Sports Athlete of the Year for 2015. We had a chat with Brad about all things cricket. Jabu: How has your cricket improved as a result of playing in England? 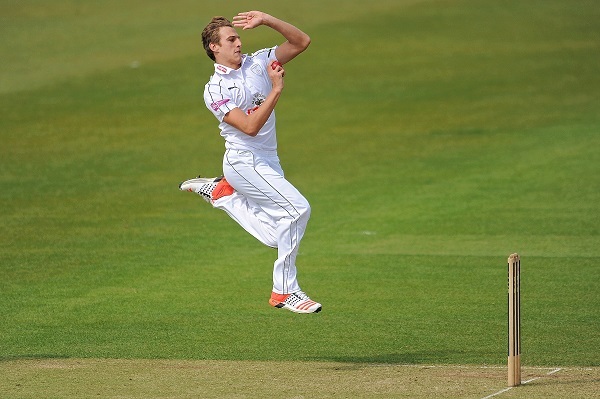 Brad: I would definitely say that my cricket has improved since playing in England. Being in a very professional and efficient environment has pushed me to improve certain aspects of my game, whether it be batting, bowling or fielding. The support staff are all excellent at what they do, from the physiotherapist to the coaching staff, and this encourages the players to really do all they can to improve. The facilities are probably up there as some of the world’s best, so it really gives you the best opportunity to improve. Jabu: How is the quality of the cricket in England different from South Africa? to play and earn experience at a high standard. Jabu: You represented KwaZulu Natal in hockey, how hard was it to pick between hockey and cricket? Brad: It wasn’t a very hard decision for me to be honest. I always enjoyed playing both sports, but there aren’t very good career opportunities in Hockey at the moment, especially in South Africa. The majority of international hockey players in South Africa have to play hockey as well as working a job to try and make a living. Whereas there are great career opportunities in cricket. At the end of the day, I am making a living off what I love doing. Jabu: You have been called up for Scotland for a tour of Hong Kong, how excited are you by the opportunity? Brad: Yeah, its a great privilege to have been selected in the Scotland team for this tour. I am really excited because I know that it will be a massive opportunity for me to really prove myself in all formats. It will be a great time for me to learn a lot and gain some valuable experience. Jabu: Are you aiming to impress to potentially make the World T20 squad? Brad: Yes, this is most definitely a short term goal, and would be an incredible experience for me. There is obviously still a lot of work that needs to be done to get there, but hopefully it will soon be a reality. Jabu: Do you still have ambitions to represent South Africa or England? Brad: It’s obviously not a very easy decision to make, but I do believe that I have much better opportunities in England, so my ambitions would be to represent England. It’s hard to turn your back on your home country, but on a personal level, I can’t even compare the opportunity that I have in England, as opposed to what I would have in South Africa. I would also like to thank Paddy Steytler for his constant support & belief in me as well as his hard work behind the scenes that also ultimately made this decision easier. Jabu: Which person has had the biggest impact on your career? Brad: Obviously my family has always had a big impact, as they have always been supporting me and motivating me. Also Paddy Steytler, my agent, has played a huge role. He has opened many doors for me and has most certainly helped me get to where I am now. Jabu: How important was your schooling, at Clifton High School, in developing your sporting talent? Jabu: Who is your sporting role model and why? Brad: In just a general sporting sense, I would definitely say Michael Clarke. He is someone who shows such passion and courage for both cricket as well as his team. He was unbelievably selfless and always did the best that he could, no matter what situation he was in .I have massive respect for him and he always showed pride and confidence in everything that he did. your young career so far? 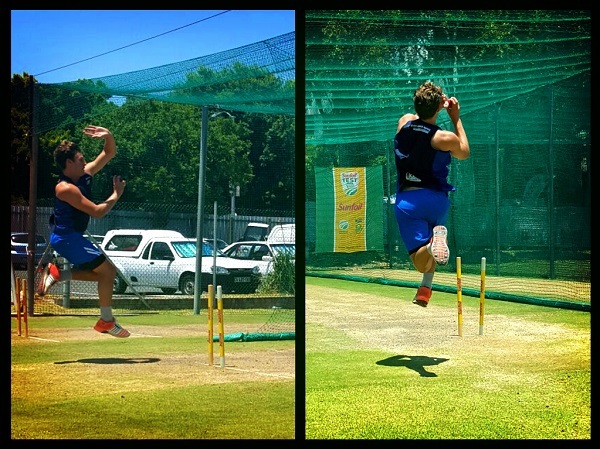 Brad: Futura Sports Agency have played a massive role in the development of both my cricket, as well as my career. I came through the Futura Sports Academy, where I was put through highly skilled & intense training sessions and was also mentored by great coaching staff. They always went the extra mile for me as a young cricketer & this gave me great confidence & belief in my abilities. I believe this gave me the edge I needed to really push a career in cricket. This is what I am doing currently & loving every minute of it. It was great to have my now agent also very involved in my cricketing development back when I was at the Futura Sports Academy. Jabu: Share with us your thoughts on the man behind Futura Sports Agency, the agency who seems to be making an impact, especially in the hockey & cricket circles? Brad: Paddy is an extremely motivated and passionate man who is always doing everything in his power to help the athletes that he represents professionally. He grew up with a passion for cricket and it has certainly showed in the way that he has boosted my career, as well as various other cricketers who he represents. He is extremely hardworking and always goes over and above what is expected. I am proud to be represented by him. Jabu: What other sports are you a fan of? And who do you support? Brad: I enjoy most sports, in particular soccer and golf. I have always enjoyed following soccer around the world, have always been a Manchester United fan (despite their recent poor form!) and I have also recently taken an interest in Southampton FC, as I am playing cricket in Southampton. I have also recently started enjoying playing and watching golf in my spare time. Growing up living very close to the sea, I also surf as much as I can when I am in Durban, and it is always a fun and relaxed way to stay active. Jabu: What are your future cricketing ambitions? Brad: My short-term goals include making an impression on the upcoming Scotland tour to Hong Kong and Dubai, and being selected for the ICC T20 World Cup in India. As well as making a name for myself across all formats on the County circuit. A slightly longer term goal, is to be selected to represent England and make a name for myself and a top International player. Jabu: Where can our readers get more information about you? Brad: There is plenty of information on me on the Futura Sports Agency website (www.futurasports.co.za) as well as all their social media sites, as well as my own personal social media on Instagram and Twitter.